Calm the mind, strengthen the body, and energize the spirit while learning components of self defense. Tae Kwon Do is the world’s most popular martial art. 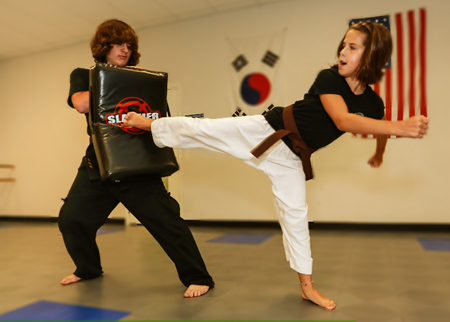 White Tiger Tae Kwon Do was established in 1991 and prides itself on the finest instruction, while maintaining the humble nature of martial arts. 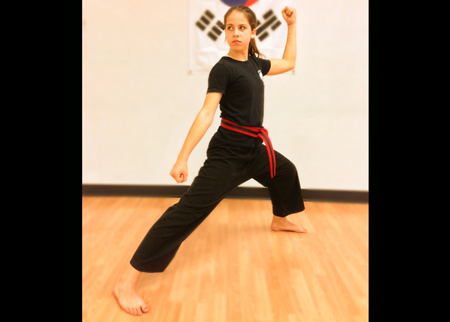 We welcome you to closely compare us with other martial arts studios. Our classes are generally twice the length. Our rates are usually half the cost. We have an excellent instructor-to-student ratio. We have no sinister, unbreakable contracts. There are no weapons to buy, unless you want to. We are simply the best quality instruction and the best value in Illinois. 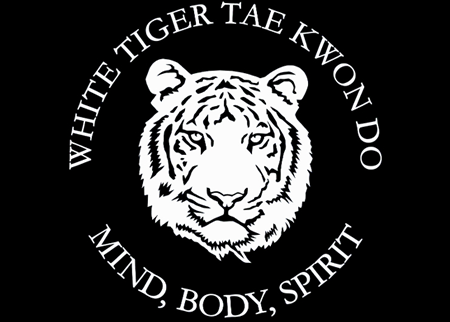 White Tiger is affiliated with Kukkiwon, also known as the World Tae Kwon Do Headquarters, the official Tae Kwon Do governing organization established by the South Korean government. Break through barriers and build confidence at White Tiger Tae Kwon Do.